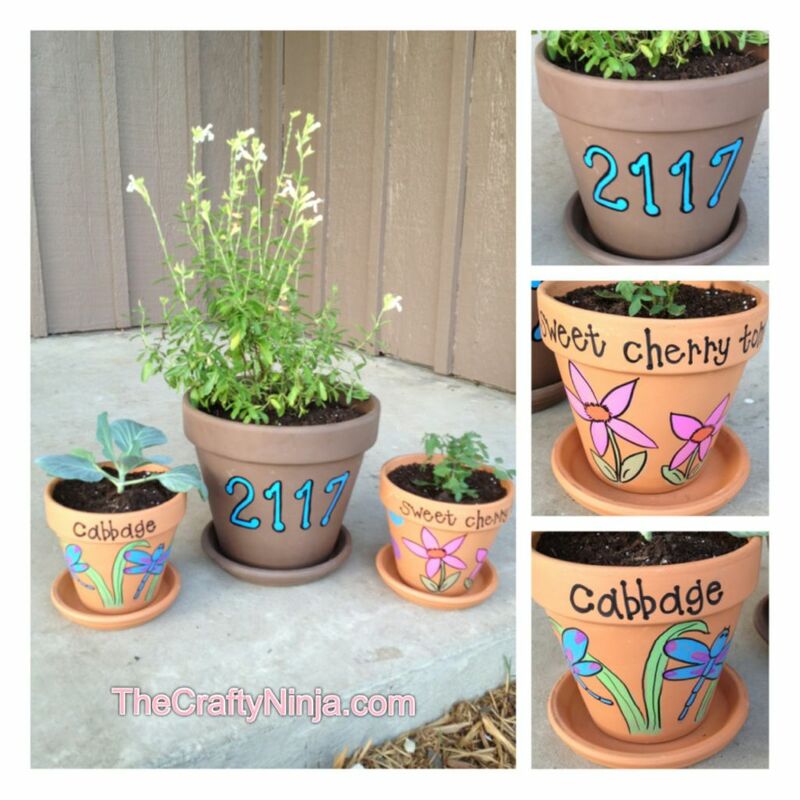 I used Sharpie Oil-Based Paint Markers and they can be used on terra cotta pots, metals, and glassware. These markers are water resistant, fade resistant, and quick drying. 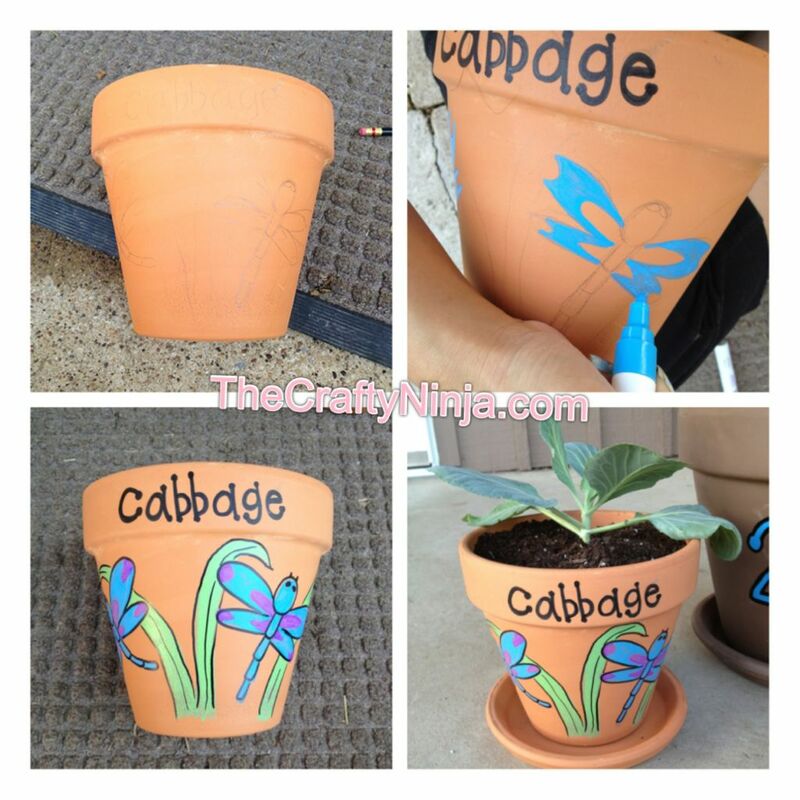 If you don’t have the patients for painting these are the perfect alternative and they are so easy to use. 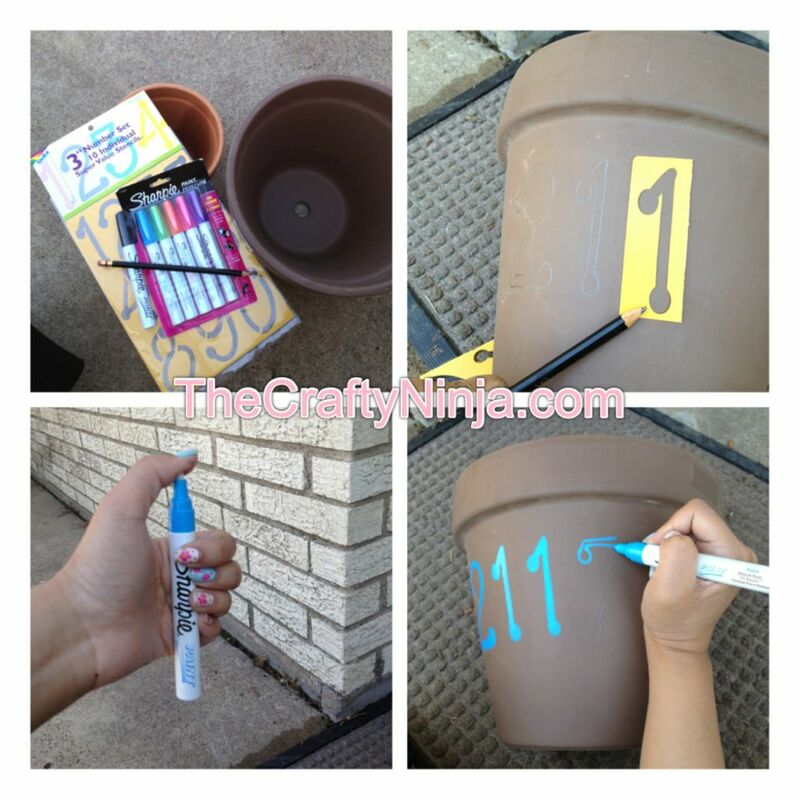 I love using these Sharpie Oil-Based Paint Markers because its easy to use and not messy. It’s like using markers to color and the colors come out so vibrant. To make the house numbers I used a 3″ Numbers Stencil to trace the numbers. You have to push in the tip of the paint marker several times and shake with the cap closed for the paint to start working. For the other terra cotta pot designs, I drew the design out with a pencil then painted with the Sharpie Oil-Based Paint Markers. You can even paint another color on top without blending. I love these paint markers!